As I prove to my students the usefulness of the support side arm when it comes to dynamic movement, the question of how it is used is always raised. What I have found is that the exact body mechanics is dictated by the dynamics, direction, and type of movement. Once again if we look at the term “pay attention” (keep the goal in the fore front) we have a very specific mission. My mission is to achieve and maintain a consistent index on the targeted area….no matter what the rest of my body is doing or what the adversary is doing. This consistent index can be achieved and maintained throughout a full spectrum of movement, directional changes, height changes, and speed changes. You can shoot throughout your/your adversaries movement, with zero time periods to re-index. This extreme fluidity is absolutely possible. 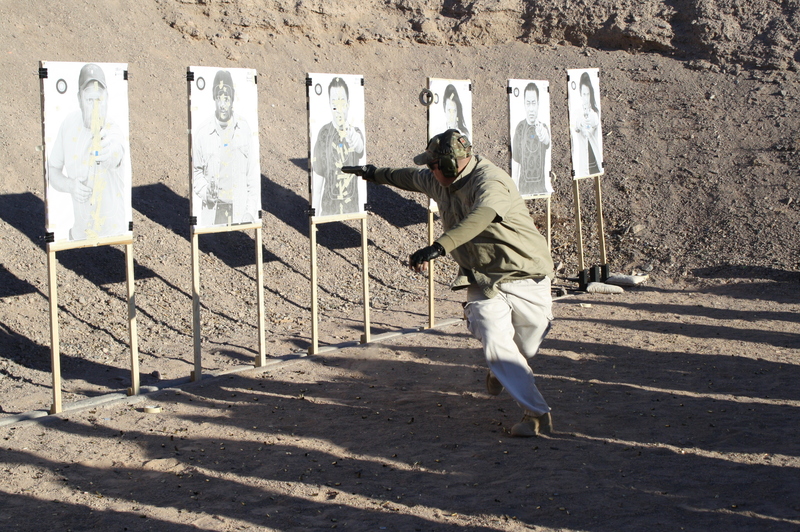 My students learn to shoot throughout their directional changes….no matter how extreme those directional changes are. The extreme fluidity of this consistent index is not a one-dimensional skill set. It is an ability that is facilitated by the entirety of the body. The up and down shock on the gun is mitigated by a rapid turnover of the footwork out of a lowered base (do not confuse this with the Groucho, it is much more dynamic and fast) and the firing shoulder is being used as a buffer (for lack of a better term.) 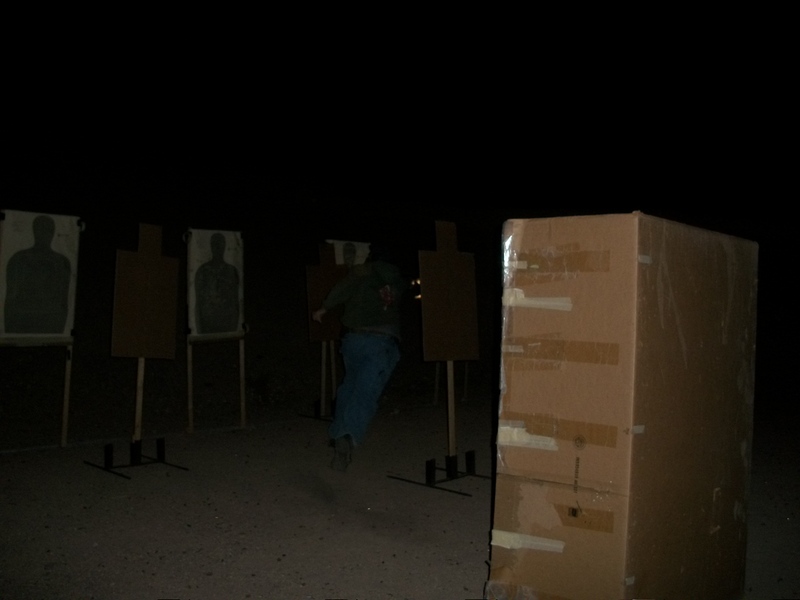 The side to side movement of the gun is mitigated with efficient footwork that is linear and the use of the support side arm as a counter balance/stabilizing force. While the gun is out at extension, the support side arm counters balances and stabilizes everything that is happening to that gun during the mitigated pounding, the side to side shock of dynamic movement, and extreme angular changes of your directional changes. The natural use of the support side arm allows for the achieving and maintaining of the consistent index as much as is humanly possible. The eyes lock on to the adversary’s focal point and the index of the gun fluidly follows it. This is simply how the human body works! Look at any athletic endeavor…. the arms work in concert with each other for the most effective and efficient solution to the required mission. What is the required mission? “Consistent index” no matter what the rest of your body is doing or what the adversary is doing. How do you achieve this consistent index? Sometimes the support side arm is used in a very predominant manner….sometimes the support side arm is used in a minimalistic manner. It all depends on the dynamics of the movement. You guys know who you are and you guys understand the levels that we reach. What most highly trained people believe to be impossible, is ordinary to you. There is a reason that in the past we sold “PSP Alumni, Team Infidel T-shirts” and that is because we are a group of people with a higher understanding and skill level than the vast majority of highly trained people out there. My student base has forced me to write new curriculum’s in order to continue to challenge them, because the study of “the amazing human machine” has proven that there are still no limitations in sight. In my honest opinion, if you have not taken your FFC skills into fighting at night you may not know what you do not know. 70% of all gun fights are in low or no light situations. The vast majority are reactionary in nature. If you think that taking the FFC courses in the day light has adequately prepared you for those situations, you may be sorely mistaken. If you are a FFC alumni and have wondered what the next level is, I have been teaching it for ten years now……….in the “FFC Fighting at Night” Courses. Three years ago, I added Force on Force – Fighting at Night to the mix. 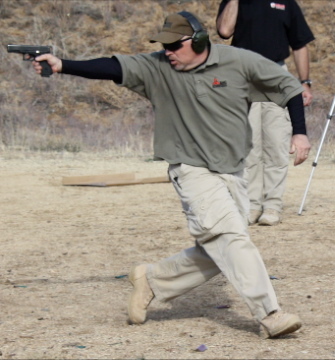 These two course are some of the most advanced handgun training courses in the world. Until you can do in the dark, what you can do during the day, you are not as squared away as you think you are. If you want to be the best that you can possibly be, that means that you have to make sacrifices. The night fighters that I train sacrifice by training till midnight, by taking an extra day off of work, and by doing whatever it takes to get the most valuable training that the training world has to offer. They do not find excuses, they do not look for reasons, they plow through the logistical problems and do what has to be done. 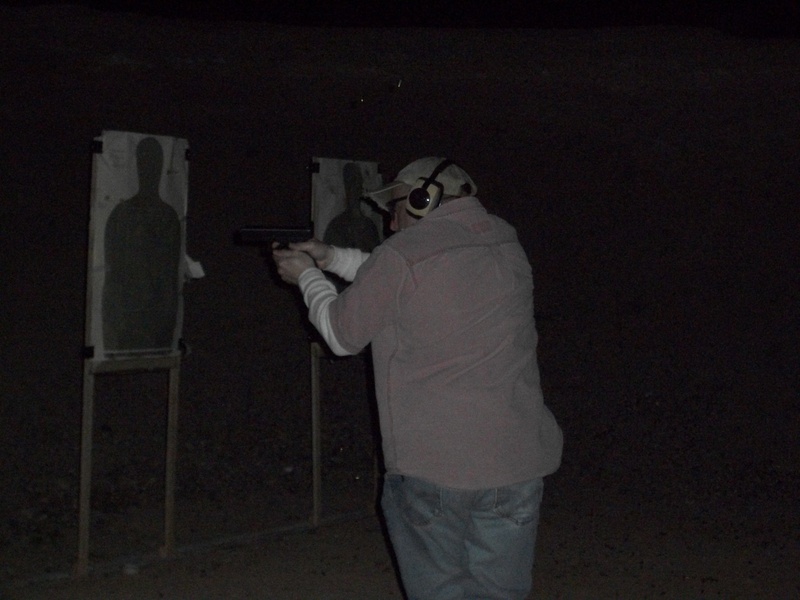 If you cannot run the FFC movement matrix in the dark…….with no flashlight……using only your ability to drive the gun to the focal point and shooting off of muzzle flash, at the same level as you do during the day light……..you may not be as good as you think you are. You are not an advanced level fighter unless you are a night fighter! 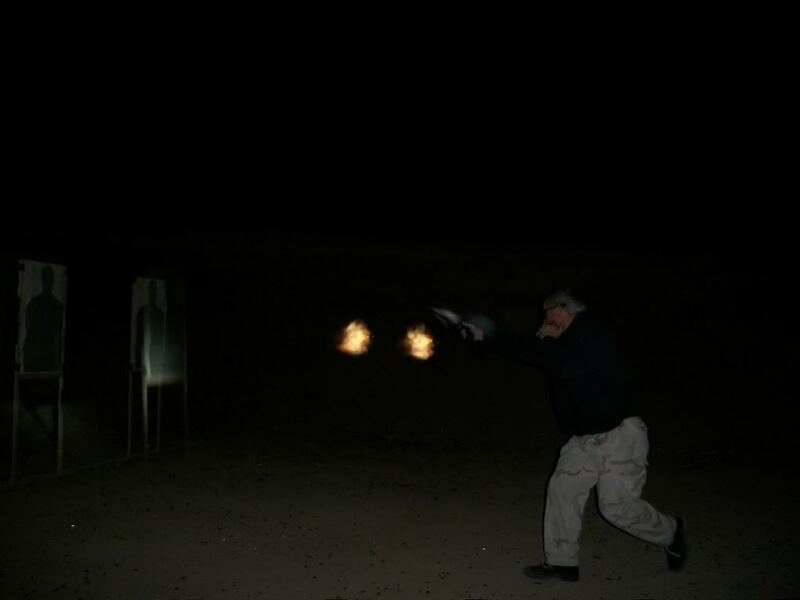 Come on out to Las Vegas on March 21-24, 2015 and meet me at the Boulder Rifle and Pistol Club and I will show you that this is not about point shooting…..this is about what is possible because of point shooting. Come on out and pick up some of the most important skill sets, techniques, and concepts and you may ever need. Come on out and learn how to dominate while fighting at night.